This is the hardest post I have ever had to write. As the title implies, it has been a year in the making. I have debated with myself the entire time as to whether or not I even wanted to write it, but since today marks the one year anniversary of the start of the Tubbs Fire, I couldn't think of a better time to write it. Because I like to keep my blog more lighthearted, I'm not going to delve deep into the intense emotional stuff. One year later, I don't know if I have it in me yet to bring all those raw emotions back to the surface, let alone on my safe, comfortable place. In my lifetime, I've been through what I consider to be more than my fair share of natural disasters. Having lived on both coasts, I have experienced a few earthquakes, hurricanes, and tornadoes, but nothing could have prepared me for that fateful night. 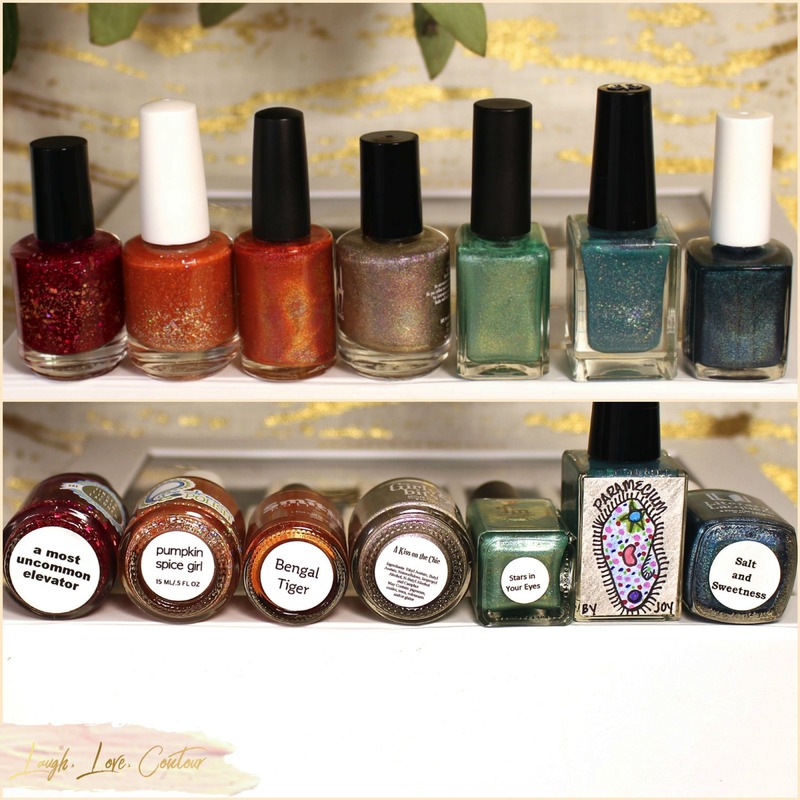 This post is just a sliver of that story, as told through my love of nail lacquer. October 8, 2017 started out like any other Sunday, and looking back now, I couldn't tell you a single thing I actually did that day. My husband was home, and we probably slept in as late as the kids would allow, and we most likely enjoyed a family breakfast and a trip to our local farmer's market in the morning. For lack of a better word, it was a "normal" day for us that might have included errands, gardening, or even just a lazy Sunday around the house. My husband had gone to bed earlier than I did, but that is a relatively common occurrence as I like the evening quiet to work on blog content. The only feature of the day that still sticks with me, and likely would not have if it weren't for the events that unfolded afterwards, was the intense wind. As I worked on my laptop in my living room that night while all my guys were sleeping, I recall the sound of the wind whipping around the house. At about 10pm, I heard a siren and noticed it mentioned in one of my local Facebook groups that a small fire had supposedly started near our Walmart. I was confident it would be resolved quickly and didn't give it a second thought. What I did not know at that time was a fire had started about 20 miles from my home at 9:45pm, and I would learn of the devastation it cause to my community in the morning. When I got up at about 7am on Monday, October 9th, I knew right away something was wrong. Upon opening the windows like I normally would first thing in the morning, a whiff of smoke-laden air hit me hard. My kids were up and clamoring for breakfast, and that became my first task of the morning. By the time they settled down to scarf up their food, the sun was up and the sky a sickly orange hue. I was finally able to hop on my computer and discovered the news. The Tubbs fire had run from Calistoga and into Santa Rosa, destroying neighborhoods and areas I used to live or would visit with some frequency. This was just one of the 250 wildfires that had started in October, which would later be referred to as the Northern California firestorm. 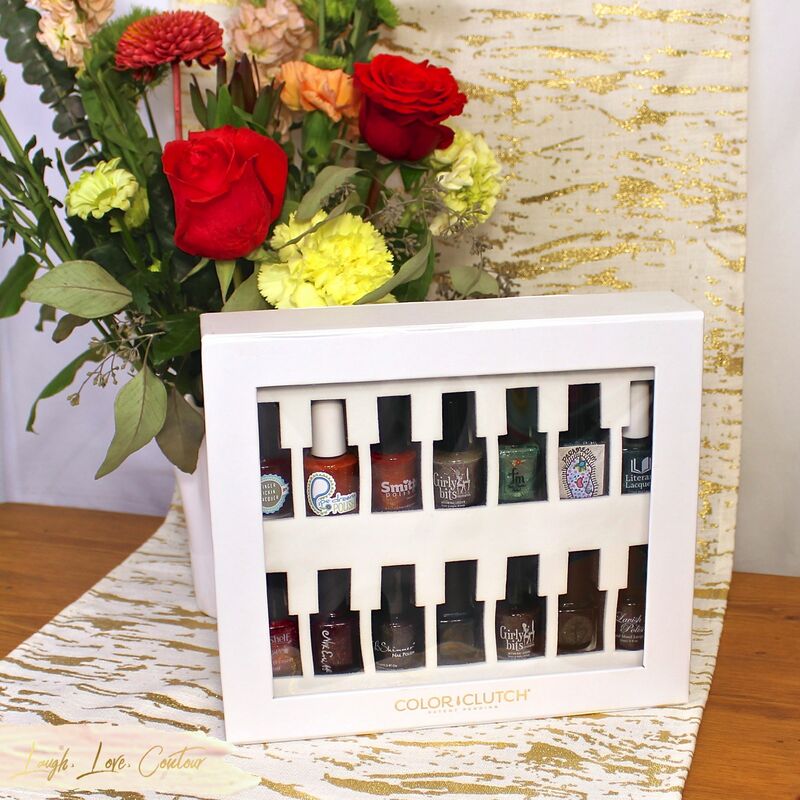 If you're a member of any of the hundreds of nail polish-related Facebook groups for a length of time, you likely have seen a question like this, or some variation thereof: if your house was burning, what 5 nail polishes would you save? Thankfully, my home was not destroyed by the Tubbs fire, but my family did pack up essentials in our vehicle so we could evacuate on a moment's notice. Having been in this position, I can tell you that nail polish was the furthest thing from my mind. It was actually on Day 3 of the fire threat that my husband suggested I might want to collect a few bottles just in case things took a turn for the worst for us. 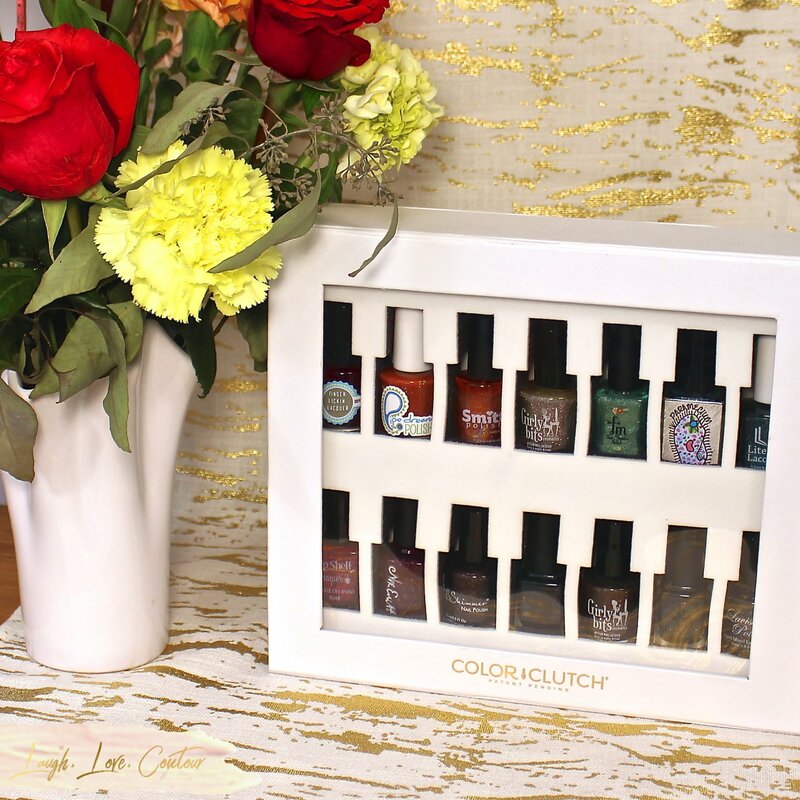 Only three months prior, I brought home a Color Clutch, a handy container that safely houses and transports 14 polish bottles. I opted to fill it and selected from one of my melmer drawers that contains exclusive nail polishes I would have a difficult time replacing. I spent less than 10 minutes picking out my bottles, largely in part because my heart wasn't with polish at the time. I was far more focused on watching the fire's progress and keeping my boys safe. 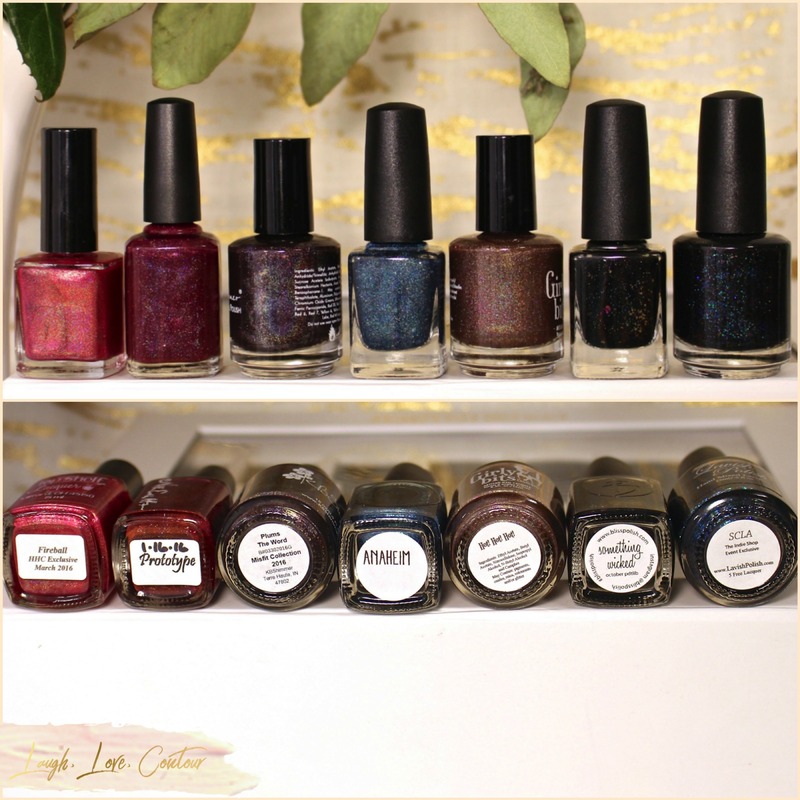 In the end, these are the 14 nail lacquers I selected. Girly Bits Cosmetics - Hot! Hot! Hot! It is impossible to have lived in this community and not somehow been impacted by the Tubbs fire. The Tubbs fire alone incinerated over 5,600 structures, including approximately 2,900 homes. Unless you were new to the area, you knew at least one person that had lost a home or their place of employment, or you yourself frequented an area impacted. I consider myself fortunate that my home remained unscathed, but my mind and my heart, on the other hand, still feels a strong sense of sadness and anxiety every time I drive my the neighborhoods that were most affected. We have been rebuilding, but the rate of which it is happening is slow. Many that lost their homes were painfully underinsured and cannot afford to have their homes rebuilt. I do truly believe that we can and will continue to rebuild our community, but I suspect it will be another couple of years before things are more normal. One year later, I still panic just a little every time I see a Nixle alert, the emergency alert system utilized in my area to notify subscribers of red flag conditions, fires, like the one less than a quarter of a mile from my house this summer, or other important activities. 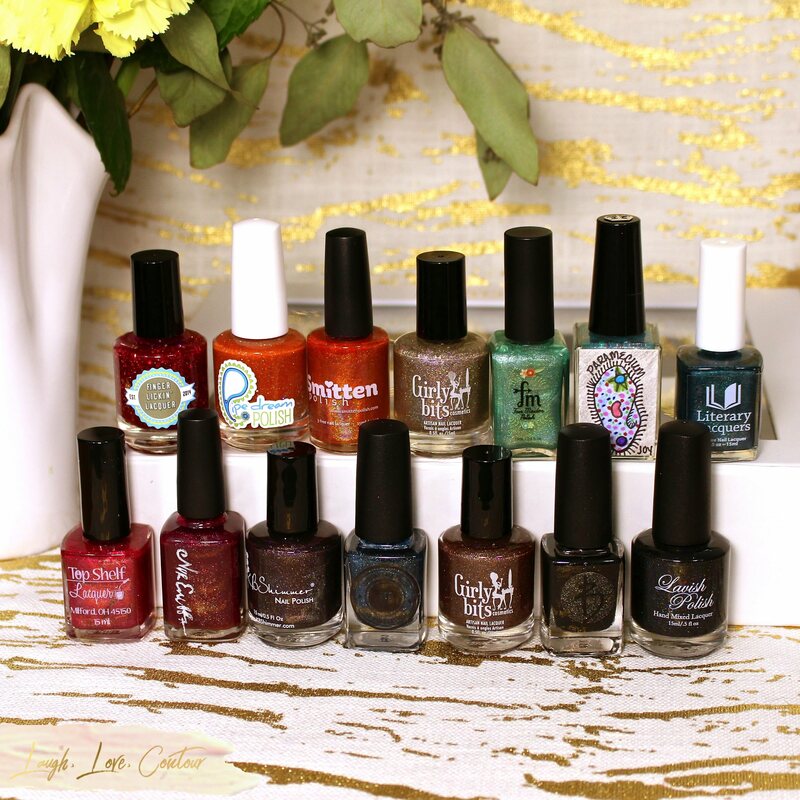 I suppose the nail polish-related question you may have for me at this point is would I choose these same 14 polishes all over again? I've given this question some thought, and while I don't think I would regret these picks, I don't think I would pick all 14 of them again. Paramecium holds such sentimental value to me (not to mention the colour is lovely) so I know that is one I would save, but the other 13 nail lacquers would likely change. There would definitely be a lot of the same brands still in my Color Clutch, although the specific shades themselves would be altered. Last week, I finally unpacked my Color Clutch. I'm still sorting through my full nail polish stash to pick out my official "must haves" now that I am in a clearer frame of mind. I have also picked up a second Color Clutch as the unit is such a convenient way to house my final selections once they are made. I just hope that I am never again in the position of potentially having to grab for them during an emergency situation. For the local followers I know pop in on my blog on occasion: we're still here and going one year out. We are #SonomaCountyStrong. Thank you so much for reading, and until next time, dear readers, have a wonderful evening. I know the fires were scary here in Southern California, it felt awful to hear about how devastating it was in Northern California. I'm glad that you and your family were okay! Gosh. What a horrifying time! I can't even imagine how scary that must have been for you to see your favourite neighbourhood haunts affected like that. I'm glad you and your family were okay! On a more pleasant note, I want one of those Color Clutch type holders for lipstick! Our nephew's family was not spared and lost everything they owned but they got out safely with their dog and that's what matters in the long run. Unfortunately this is a scene that happens over and over in California and it's terrifying. Your choices are lovely ones, I'd especially like the second set, but I hope I never have to choose. I am so happy that you and your family were safe during the horrendous tragedy. I have spent a lot of time over the years visiting Calistoga, Santa Rosa and all the towns in between, and it is truly beautiful country. Since the fires have receded from the news, I have wondered what has been rebuilt since that terrible time one year ago. On your other topic, the Color Clutch looks so handy. I need one. All your polish choices would be perfect for me. Wow, I'm so glad you and your family were untouched! Fire is some thing that really scares me because there are real predictions and they can happen so fast. I feel very fortunate to never have dealt with one of any real threat. We did have orange skies due to one in south GA last year and it was so weird. I remember seeing things on the weather channel about the one you mentioned, and around that time our area was cleaning up from a major hurricane so it slipped away in our news. Natural disasters really are crazy and you really don't get it till you live through one or a place you know and care about gets hurt. Like right now, I'm glued to the TV watching all Hurricane Michael updates, and just today we had a tornado warning! What a scary thing to go through. Very lucky to have been unscathed. 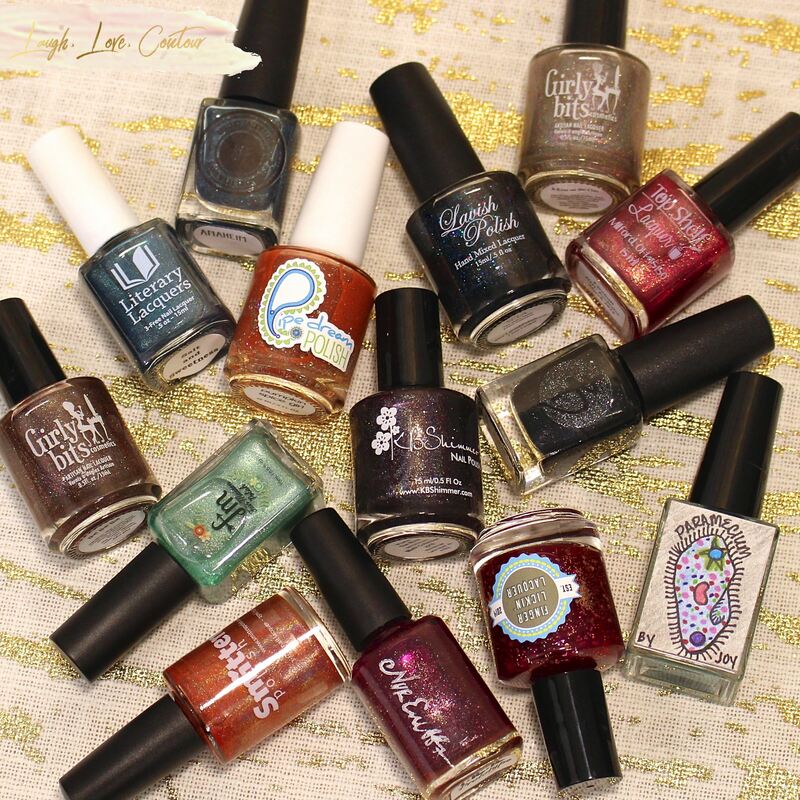 I have no idea what polishes I'd grab in a rush...if any. 2 arms and almost 4 kids, I'd likely just need to make sure everyone had shoes and jackets. Wildfires are so scary. Living in the Western part of Canada I've witness the devastation wildfires can do in a short amount of time. I'm so sorry you had to go through this. I hate that your community went through a fire like that but am glad that you weren't "directly" affected. I've wanted one of the Color Clutches but haven't gotten around to getting one yet. I remember this fire and the photos you had shared. I was so worried for you and your family and glad you guys were spared from the devastation. I couldn't even imagine!